Music is one of the most powerful human creations. Throughout the ages, it has inspired soldiers to valor and moved audiences to tears. But, have you ever thought about the important role that music can play in bringing you happiness? When we are feeling lonely, depressed or anxious, it’s easy to get caught up in our own thoughts. Perhaps this is one of the reasons that music is such a powerful tool – it appeals to us on a purely emotional level. Music bypasses our thoughts and works directly on our feelings. What’s on Your Happiness Soundtrack? 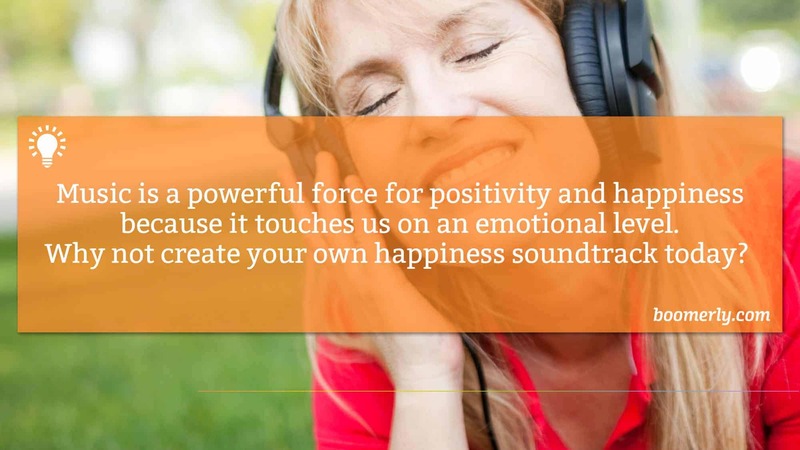 There are so many ways that you can use music to feel happier every day. I know people that have a certain song that they listen to first thing every morning to get their day off to a good start. Others have a happiness soundtrack on their iPhone for “emergencies” – whenever they are feeling low, they find a comfortable place to sit and lose themselves in the magic of their music. How do you use music to change your emotions in positive ways? Please join the conversation below.